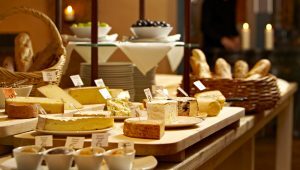 Judy started working with cheese many moons ago in San Francisco in two local cheese stores that she owned and managed. The Sixth Avenue cheese shop and Creighton’s Cheese and Fine Foods. 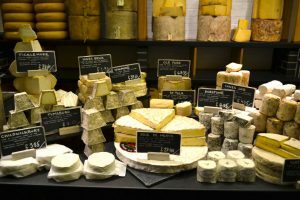 In the course of learning about and working with cheeses she traveled, learned to make cheese and became a pro at pairing cheeses with wines and fine foods for the enjoyment of her customers. Over time this interest and knowledge evolved into custom consulting for organizations such as Lavender Ridge Vinyard in Murphys, CA – as the cheese program director, where provides educational and fun tasting events for the wine club and other local wineries in the Sierra foothills. 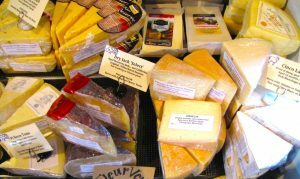 Judy also creates and manages custom cheese retail programs for wineries, cheese markets and distributors. Judy is available to work as a custom consultant for your cheese and wine pairings and also has a number of private and public event programs available to choose from for your tasting events. CLICK HERE to view event packages now.